A break from Disney and the chance to so something completely different, we were excited as we drove out of Kissimmee and headed for Boggy Creek and an airboat ride. Husband and I had tried this out here years ago, I don’t remember much except that it was a lot of fun. The three of us also had an airboat ride a while ago in the Everglades where we spotted no end of alligators. This time though the whole thing was a freebie, thrown in as an extra by the company where we bought our theme park tickets so nothing to lose if the alligators didn’t make their appearance. A lovely drive on a Sunday morning, it took us about 45 minutes from our Kissimmee condo and we passed through pleasant countryside, saw cattle farms and no end of quaint houses, a whole different experience to Disney. 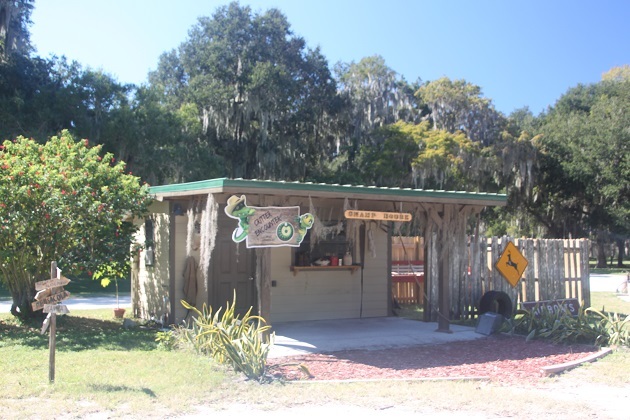 We found the Boggy Creek Airboat place very easily, checked in and got on the first boat at 10.15. 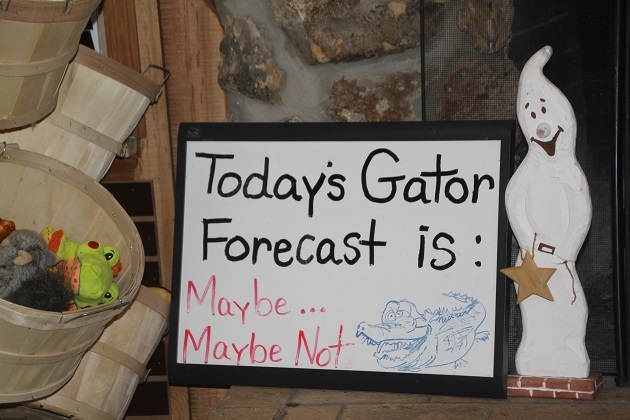 Apparently you can spot alligators, racoons, bald eagles and more here – however this was the wildlife spotting forecast for our excursion…. The boats are big, flat bottomed vessels with huge propellers at the back. We sat in the front row, once everyone had climbed on board and had their ear protectors in place we set off. It is super noisy, I was very glad of the earphones provided, glad too we had slathered ourselves with suncream and had hats rammed on our heads that would not easily come off. We skimmed over the surface of the lake at breath-taking speed – a real thrill, as the droplets of water sprayed up and hit us. Gorgeous views but the wildlife…. well we spotted a couple of birds and one cow. 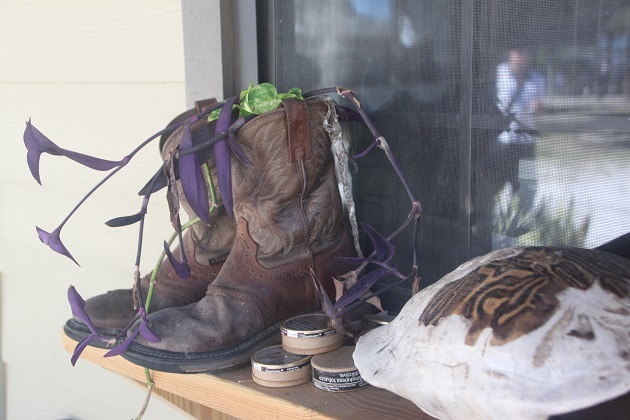 Alligators were in short supply that Sunday morning. 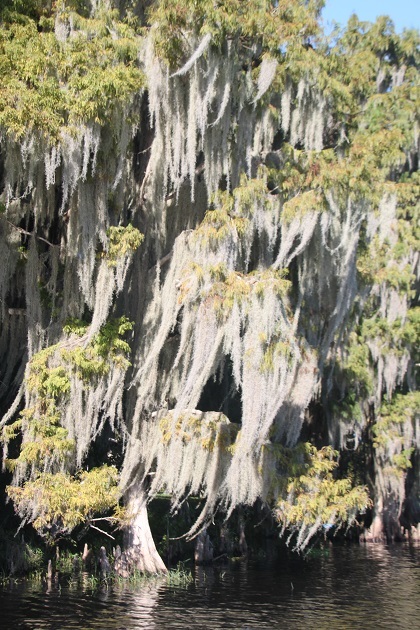 The guide stopped the boat in the middle of the lake, turned off the propeller and told us a stack of interesting snippets of information about the trees and wildlife. He was very entertaining and despite no alligators, I found the whole thing fascinating. We zoomed back to base, another thrilling high-speed ride and then all too soon our airboat experience was over. Son and Husband loved the whole thing, I enjoyed it but did find the noise and vibration mixed with the extremely bright sunshine on the middle of the lake all quite intense and just a teeny bit uncomfortable. We did see an alligator – eventually – although not in the lake. A man was waiting with a 2 year old baby to greet us as we stepped off the boat. Son bought some alligator food and fed some more little ones they had in big tanks nearby. A bit of ambling around where we checked out a little turtle pool and a critter area was fun before it was time to leave. 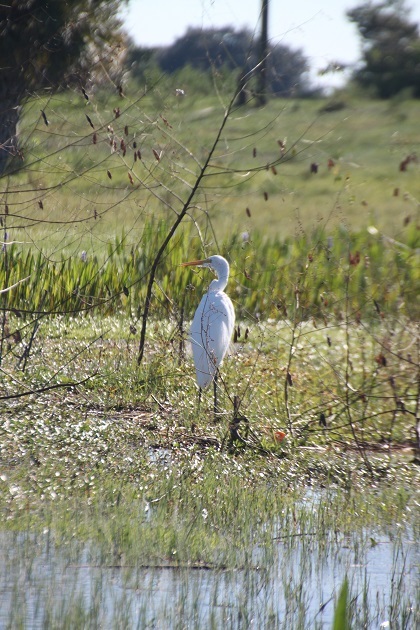 Some lovely photography Joy and an interesting contrast to explore the wetlands as well as your time at Disney. I loved this – like you say a real contrast to Disney, just what I needed!! I would love, love, love to try this. It is so much fun, I can’t tell you!! Some people on the boat were disappointed we didn’t spot much wildlife, for me the boat ride was enough – thrilling!! It was – and so much fun!!! I thoroughly enjoyed this day out and away from all the Disney stuff – this was right up my street too!! The alligators would have been an added bonus but we didn’t mind at all Rosemary, we really enjoyed the thrill of the boat ride, that was enough this time!! I am an expert at suncream coverage, I have such fair skin that I burn with just a blink of sun, now I make sure that never happens!! Yes I know all about sun protection too Joy – essential for living out here in Perth!! 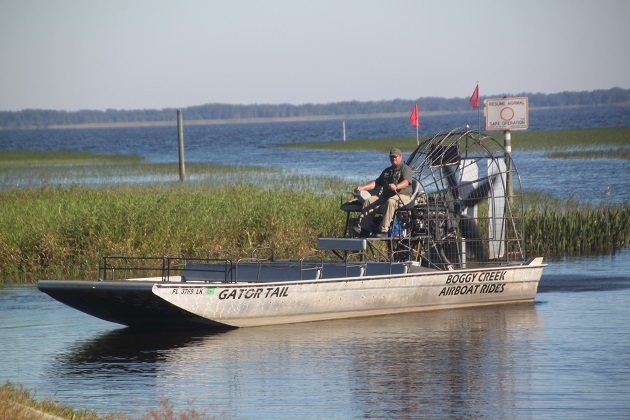 W love the airboat rides in FL too – and agree, thank god for the head sets! Loads of fun but you’re right, without those headsets it would be torture!! That looks like a lovely trip and a welcome break from all the theme park chaos. 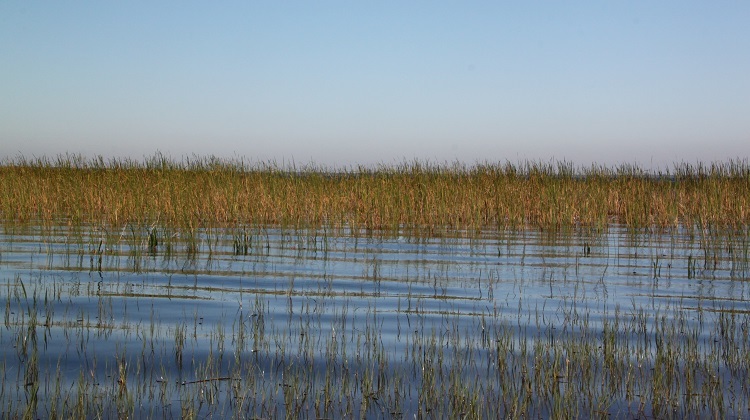 I would love to go out on an airboat to explore the Everglades but in two trips to Florida I have never yet managed to accomplish it. Some day. It’s loads of fun Laura – your boys would love it too!! We enjoyed this one but have had a longer ride in the Everglades when we stayed in Miami and the wildlife spotting was incredible. We didn’t see much on this one but still had a blast. What an interesting adventure! Love the pix too – the landscape is so different from the Californian and Italian landscapes that I’m most used to. It’s beautiful here – very different to the theme park stuff going on in Orlando too!! 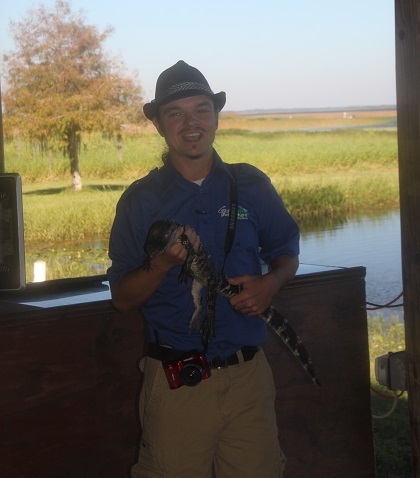 A baby alligator is better than no alligator, must have been nice and such a great experience. I did a river and jeep safari in British Columbia (late September post) it was truly fantastic and I can relate to some aspects of your adventure, take care. That sounds like an incredible experience – much more daring than this!! It is actually not really scarey – a thrill but not so bad at all, I’m a bit of a wimp and I was fine!! All my visits to Florida and we’ve never tried this. Something to put on my list…:) looks like a lot of fun. You’ll have to try it George – it’s a blast, even if the alligators stay hidden!! 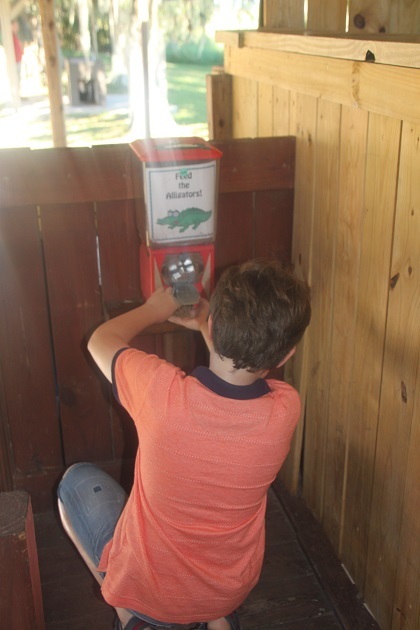 We gave this adventure a miss when we were there but we did go to Gatorland wildlife park to see the alligators. 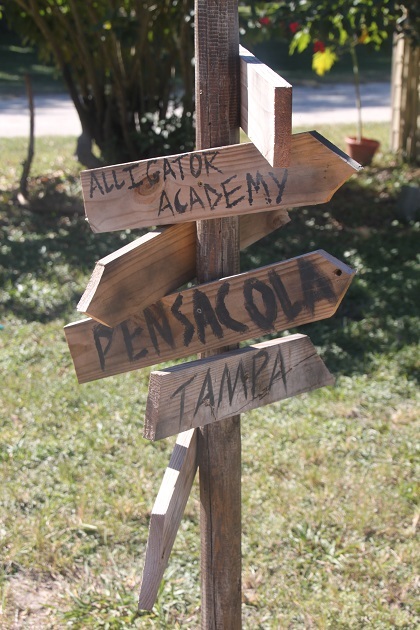 Never been to Gatorland but our son lobbied heavily for that – alligators and a zip line definitely appealed to him!! Maybe next time – seems like you’d see more wildlife there! They filmed the crocodile stepping stone scene in James Bond ‘Live and Let Die’ at Gatorland! The trees along the water are stunning. If you ever get to Australia check out the crocodiles on the Daintree River Cruise. We saw three when we were last there. That sounds like a superb thing to do – never been to Australia unfortunately but hopefully one day…. 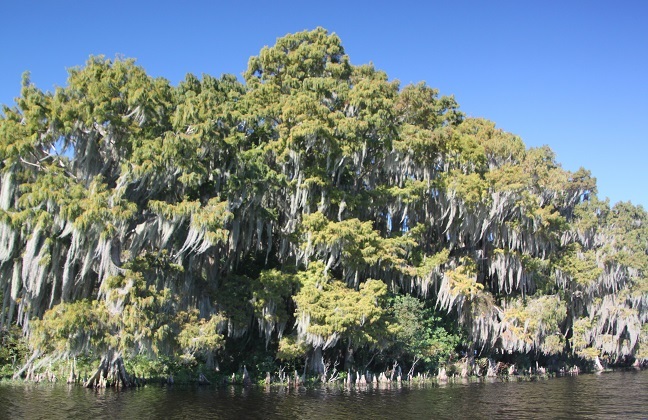 There is so much to see and do in Florida Kamila – we love it!! Great photos and post! 🙂 Looks like fun. It is loads of fun, a bit thrilling and just a great thing to try out. This was a great reminder of my airboating experience and it was very similar to yours, Joy! The noise is unbelievable, isn’t it? So relieved to have those earphones Susan!! 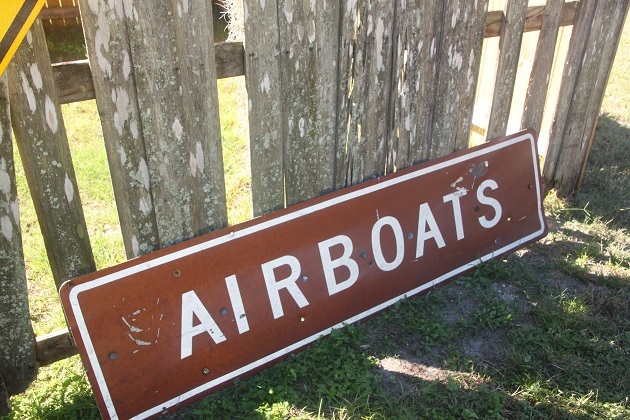 I’ve always wanted to try an airboat! I love the name Boggy Creek! Shame you didn’t see gators in the actual outing, though. Where you allowed to hold the baby gator? Boggy Creek just has such a great ring to it doesn’t it!! We all got to hold the baby gator and have a picture taken for a donation to a wildlife charity – that was great. It is a great experience and such a lot of fun. This is totally fun! We would love to include this in our bucket-list of adventures.